1.25" x 0.25" thermal transfer polyester label on a 3" x 8" core. 15710 labels per roll / 4 rolls per case. Zebra 10011692 special features - Non-perforated. Use with resin ribbon. 1.50" x 0.50" thermal transfer polyester label on a 3" x 8" core. 9420 labels per roll / 4 rolls per case. Zebra 10011693 special features - Non-perforated. Use with resin ribbon. 1.75" x 0.75" thermal transfer polyester label on a 3" x 8" core. 7160 labels per roll / 4 rolls per case. Zebra 10011694 special features - Perforated. Use with resin ribbon. 2.00" x 0.50" thermal transfer polyester label on a 3" x 8" core. 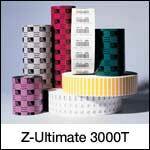 10000 labels per roll / 4 rolls per case. Zebra 10011696 special features - Non-perforated. Use with resin ribbon. 2.00" x 1.00" thermal transfer polyester label on a 3" x 8" core. 5570 labels per roll / 4 rolls per case. Zebra 10011697 special features - Perforated. Use with resin ribbon. 2.00" x 1.25" thermal transfer polyester label on a 3" x 8" core. 4270 labels per roll / 4 rolls per case. Zebra 10011698 special features - Non-perforated. Use with resin ribbon. 2.50" x 0.50" thermal transfer polyester label on a 3" x 8" core. 10020 labels per roll / 4 rolls per case. Zebra 10011700 special features - Perforated. Use with resin ribbon. 2.75" x 1.25" thermal transfer polyester label on a 3" x 8" core. 4270 labels per roll / 4 rolls per case. Zebra 10011701 special features - Non-perforated. Use with resin ribbon. 3.00" x 1.00" thermal transfer polyester label on a 3" x 8" core. 5240 labels per roll / 4 rolls per case. Zebra 10011702 special features - Non-perforated. Use with resin ribbon. 3.00" x 2.00" thermal transfer polyester label on a 3" x 8" core. 2950 labels per roll / 4 rolls per case. Zebra 10011703 special features - Perforated. Use with resin ribbon. 3.00" x 3.00" thermal transfer polyester label on a 3" x 8" core. 1880 labels per roll / 4 rolls per case. Zebra 10011704 special features - Non-perforated. Use with resin ribbon. 3.50" x 1.00" thermal transfer polyester label on a 3" x 8" core. 5570 labels per roll / 4 rolls per case. Zebra 10011705 special features - Perforated. Use with resin ribbon.